When I started sewing a couple of years ago, I never thought I’d be sewing swimsuits. Honestly though, they’re one of the most beneficial things that I sew that actually fit my kids, and fit them well! All the store bought swimsuits never fit them correctly. Either they’re too big in the bum so they’re long enough for my kids, or too short but fit them in the width. As you can imagine, I have tall and skinny kids. The store bought suits just don’t fit right. Sewing is the one thing I can do to give them a good fitting suit that isn’t falling off of them. If you’ve followed me for long, either here or on Instagram, you know my love for Raspberry Creek Fabrics. I use them a lot, because well for one, they’re local to me. Second, they have great fabrics. This year’s swim line is no exception to their great prints. I spent most of last week sewing up all these beautiful fabrics. The thickness is perfect, and I didn’t even line many of these because they just didn’t need it. This first suit, I used the Retro looking stripe in a board short fabric. I used the Long Beach Board Short pattern from New Horizons Designs. I did shorten them a couple of inches as the pattern is meant to go past the knees and I prefer them to go to the top of the knee for better movement. This is definitely one of my favorite prints. I adore how these turned out. I feel like this pattern helped this print to stand out even more. Next, I used this Circus floral swim fabric and paired it with the Circus dot swim. The two fabrics worked so well together. Since the fabrics are printed in house at Raspberry Creek, the colors match exactly. I made the Lorelei swimsuit from Simple Life Pattern Company. This is one of my favorite swimsuit patterns. It’s just too cute, and the fit is perfect for my girl every time! Lastly, I used this gorgeous Navy Floral for a swimsuit for myself. The Alexandria suit from Made for Mermaids was the pattern that I used. I added the flounce on the neckline. 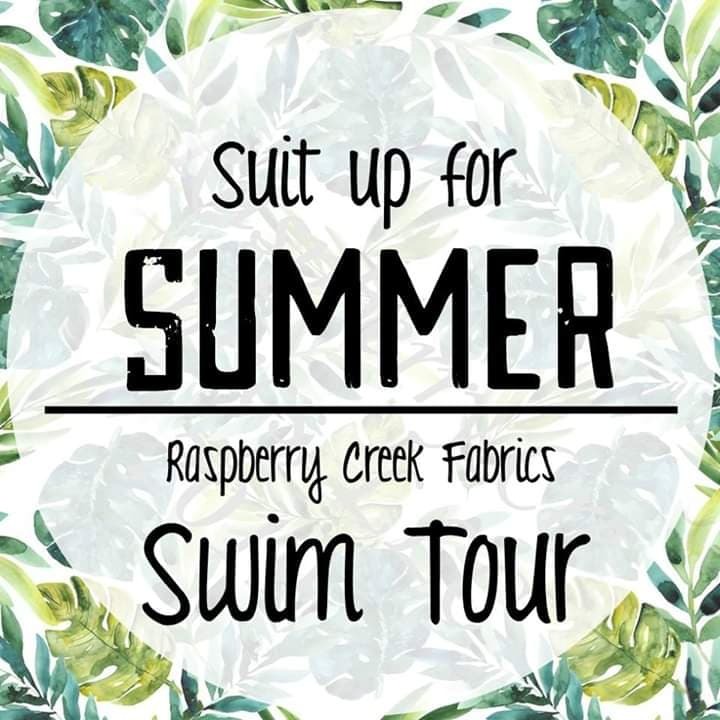 I paired my suit with some board shorts using the Swim and Surf shorts pattern from Gracious Threads in the swim length. I used the solid navy board short fabric from Raspberry Creek with some double fold white bias tape that I grabbed locally. I made these last year, and I wear them whenever we go swimming. They’re a staple for me in the summer. All the swim fabrics that contain navy are currently on pre-order while the mill makes some more of the original swim base, as the replacement they sent doesn’t give the same results as the original swim base. As soon as the original base comes in, they will ship out the navy printed fabrics to customers. Sorry for the delay, but at least this way you know you’ll be getting the highest quality fabrics and standards that RCF stands for. 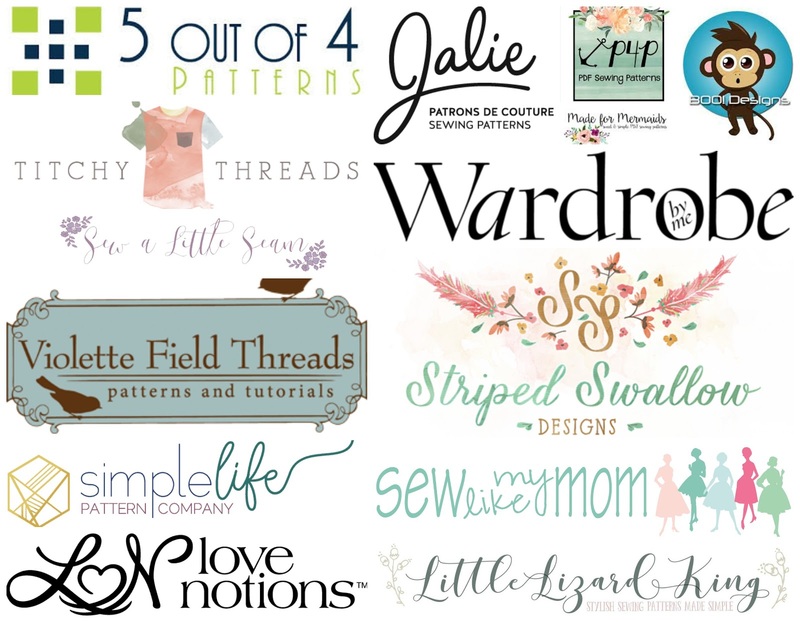 Now for the fun part, here is the link to the other bloggers for this tour, and codes for discounts to a few of our pattern sponsors. I was lucky enough to be involved in the Simple Life Pattern Co. special occasion dress blog tour last year. It was so fun to make a fancy dress for my daughter that she’s enjoyed all year long. That Paisley has been worn so much and it’s about time to retire it. This year we went a little more fancy. We have a tradition of going to the symphony every year around Christmas. Our local symphony does one that the kids can enjoy that includes many of the favorite Christmas songs. I love making her a fancy dress every year that she can wear to the symphony. This year, I made the Mila dress from SLPco. I will be honest that I saw a similar dress on the Mila listing and new that it would make the most beautiful dress. 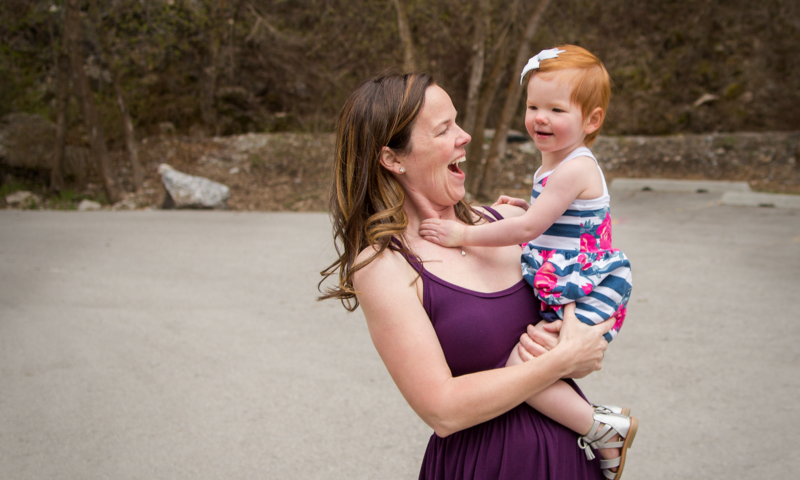 Tiffany, from Pieces of Joy, created an awesome dress and it was my inspiration for this gorgeous Mila. Hart’s Fabrics was generous enough to sponsor this tour and I found this wonderful rosette fabric and satin in black. When I was preparing to cut the skirt, I noticed that the selvedge edge had a great mesh/tulle and that since the rosettes were sewn on, I decided to leave the rosettes how they were and trim the tulle to create a scalloped hem without any real work. The big bow on the back adds to the gorgeous splendor of this dress. It creates such a fancy and delicate look to such a wonderful pattern. The tulip sleeves give the dress such a fun detail. During the tour, all of the patterns over at Simple Life are currently 30% off (with the exception of the new Betty dress) with the code FALLINTOSLPCO. They’re also doing a couple of giveaways by entering the Rafflecopter link below. So, don’t let the sale get away from you. Grab a cute pattern to sew up for your girl for the holidays! Don’t forget to check out all the other lovely dresses that the other bloggers have put together using SLPco’s beautiful patterns! School is quickly approaching! I cannot believe how fast the summer has gone by. We’ve had a lot of fun this summer, traveled, gone swimming, and done lots of other fun things together. This year, my so is starting Kindergarten and my daughter is starting pre-school. I feel like there’s no way it’s time for her to start school already, but I’m really excited to see her grow and learn. So, today I made her a dress for starting school. She is very particular about her clothes lately and only wears dresses that spin. Appropriately, I made her a twirly dress. Made for Mermaids has several patterns that have circle skirts, but I knew that I wanted a simple skirt to go with a more detailed bodice. I just love the sleeves of the Charlotte pattern, so I knew that I wanted to include them too. After looking through my fabric, I found this gorgeous windowpane double brushed polyester from Raspberry Creek Fabrics that really had a school look to me. At first, I thought about mashing the Charlotte sleeves with the Brooklyn bodice and the Riley skirt. Once I decided on this fabric though, I knew that it needed a cute black collar. I decided to use the sleeves, neckline, and armscye of the Charlotte and mash it to the waist of the Riley so that I could use the circle skirt. The final result couldn’t look more classic to me, and I just love it! She looks so grown up, which she’s doing all too quickly, but having her look so cute for her first day of school has me so excited. It also made her happy that she could twirl in it too! Make sure to check out the rest of the blog tour this week as the Made for Mermaids team shows off their new school looks! 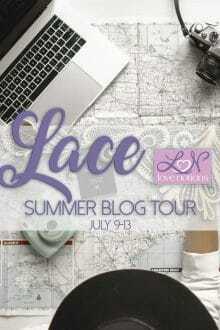 I’m joining Love Notions this week with the Summer Lace Blog Tour. This was my first time sewing lace into a garment, and I wasn’t sure quite what I might want to sew. After scouring several stores that carried lace, and looking at inspiration, I came across a top in my own closet that I wanted to recreate. It has eyelash lace on the sleeves with a solid body. I really like the top and enjoy that I can have a lace top and still wear my regular bra (which for me is very important ;)). Tami released the Classic tee recently and I found some stretch double galloon eyelash lace at Fabric Bistro on Etsy. I grabbed a few that I found in different colors and styles. When they arrived, one of the white ones stood out, and I had some white double brushed polyester in my stash. When I cut out my fabrics, the only modification that I made was to remove the 1″ hem on the sleeves since I knew that I wouldn’t need to hem them now. Sewing the top was a breeze, and I didn’t have any issues with the lace. I followed the instructions for the classic tee, since I didn’t make any changes. I made sure to leave my serger tails long enough to tuck them in at the end of the sleeve, so the seam wouldn’t unravel. Recently I was looking for inspiration on Boden’s site. They always have some cute girl clothes, and I love browsing their site for inspiration. I came across a romper that I knew would be perfect for summer play. It had a dolman style sleeve and attached shorts. Knowing the patterns that are in my pattern library, I thought the Deer Creek and the Bayside would work perfectly! I had to do some mashing of the patterns for the top to get the length and the bottom to match and line up to the bayside shorts. After I printed my patterns, I lined up the shoulder at the neckline. I made sure to have my grain line arrows parallel to each other. For the front pattern piece, I could easily line up the fold line. I then graded my side seam from the chest of the Deer Creek pattern down to the bottom of the bayside pattern. I knew that the Deer Creek elastic hits around the natural waist, so it needed to be lengthened to get the correct length for the lower elastic. I followed the same process for the back piece, only I could only used the grain line arrow as a guide, since the back of the Bayside isn’t cut on the fold. After getting my top of the pattern pieces mashed together, I double checked the side seam length to make sure that they matched as well. I ended up lengthening the front side seam, as it didn’t match up to the back. Next, I needed to make sure that the back of the Bayside shorts, and my new back pattern piece were going to be the same width. The shorts have a center seam, and aren’t cut on the fold like the back top piece. The seam allowance is 3/8″, for a total of 3/4″ that will be removed from the back shorts. I then measured both the back top and bottom and added 1/8″ width to the top to make sure when sewn they would match perfectly. The only other thing that I ran into that needed to be addressed was how was she going to get it off. The Boden romper has snaps/buttons at the shoulders. I really didn’t want to have to mess with the shoulders and neckline to get it correct. I ended up making a placket and adding it to the crotch to have snaps in the crotch so she could remove the romper easily for changes or restroom breaks. I constructed the top using the Deer Creek tutorial. I sewed the shoulder and then added the neck binding. Since I didn’t adjust the neckline width, I just used the neckline binding from the Deer Creek pattern. I sewed the side seams and then hemmed the sleeves according to the tutorial. I then constructed the shorts by sewing the pockets onto the front first, using the Bayside tutorial for the instructions for the pocket construction. After I added the pockets, I sewed the front and back rise. The side seams were next. Following the side seams of the shorts, I then hemmed the bottom of the shorts. Now I could measure the crotch width to determine how wide I needed to make my placket. I made the length 2.25,” and the width was the width of the crotch plus 3/4″ for the seam allowance. I ironed in all of the sides by 3/8″, then the length was folded in half to make it 3/4″ wide for the snaps to go in. I then sewed this on with a 3/8″ seam allowance and top stitched around the placket. Finally, I added the snaps and finished sewing the shorts onto the top using the Bayside as the guide to making the casing and adding the elastic in the waist. I just love how it turned out! It will make great play clothing for her this summer. I’m excited to make more for her, and hopefully I can update this post with some pictures for a proper tutorial on mashing these two patterns to make a fun romper. Fabric is from Raspberry Creek Fabrics. Now that I have my new Cricut Maker, I figured I’d have to try out all it’s cool features using one of the sewing patterns that’s in Cricut Design Space. My daughter got one of the 18″ dolls for Christmas, and I’ve been sewing some clothes for it lately. When I saw that there were a few doll clothes patterns for the Maker, I wanted to try one out. I found a cute doll dress in the pattern, and got started. Design Space tells you exactly how big to cut your fabric and how to lay the grainlines on the mat. It also tells you which fabrics to put on which mats. For this particular pattern, there were three different cuts that needed to be done. I cut out my squares of fabric, and set up my Maker. The Cricut Maker has the capabilities of cutting out and marking your pattern pieces for you, so that there’s no guesswork. After loading my mat, rotary blade, and fabric marking pen, I started with my first mat which cut out and mark the skirt pieces. After cutting and marking all of the pieces, I downloaded the sewing instructions from Cricut Design Space. The first step has you sew down the center seams of both the main and the lining pieces of the bodice. Next you line up the main and the lining with right sides together, after ironing down 1/4″ on the shoulders of the lining, with wrong sides together. The armscyes and necklines are then sewn with a 1/4″ seam allowance. After clipping the curves, the bodice is turned right side out. The shoulders of the main fabric are then placed right sides together and sewn with 1/4″ seam allowance, without catching the lining in the seam. The fabric is then pushed in between the two bodices and the lining is hand sewn together. Next, the two skirt pieces were sewn together with the right sides together, using a 1/2″ seam allowance. The back center seam was sewn up to the notches, and then left unsewn at the top. At this point, the bodice and the skirt are sewn together. The skirt and bodice are aligned right sides together and sewn with a 5/8″ seam allowance. The main bodice and the skirt fabric seam are trimmed down. The lining is then hemmed at 1/4″ and top stitched down to create a casing for the elastic at the waist. 1/4″ elastic is then threaded through the casing and sewn down at the ends to create a cinched waist. 1/2″ hook and loop is then sewn on the back to create the closure. Both are attached right up against the raw edge. The left side is then folded under to allow the hook and loop to keep the dress closed. Lastly, the dress is hemmed 1/4″ and then another 1/4″. I added the cording by hand sewing it to the center, and tying it in a bow. I loved that my Cricut cut all of the pieces and marked them for me. It made putting this dress together so simple. The only thing that I wasn’t too fond of were the instructions. I’ve never been a huge fan of only having written instructions with hard to follow illustrations. These instructions weren’t too hard to follow, but I did struggle in a couple of areas. I love the final product, and I know my daughter will have a fun time putting it on her doll. I can’t attest to all the sewing patterns in the Cricut Design Space, but this one was a winner! Several years ago, my Sister-in-law was really into the Cricut machine craze. She used to scrapbook, and had several kids. At the time, I didn’t have any kids, and scrapbooking was something that I just wasn’t into. Fast forward to a couple of years ago and I started sewing, I mean really sewing. I saw people customizing their makes with iron-on vinyl. I loved seeing the cute sayings or shapes that were being placed just about anywhere. Then fast forward to a few weeks ago. One of my friends contacted me about the Cricut Maker. Now that I’ve been using mine for a couple of months, I thought I’d sit down and give it a review. I think the main thing that people notice, or talk about, with the Maker is the fact that it has a rotary cutter. This is such a neat feature! It can cut through a multitude of different fabrics and materials. Quilting cotton, knit, leather, felt, silk, cashmere, tulle, you name it. The other Cricut machines could cut through fabrics too, but they had to be bonded, meaning they had to have a backing, like heat and bond. Because the dragging motion of the blade didn’t allow for the fabric to just sit on the mat without the backing. With the rotary blade, it doesn’t drag like the regular blades, but rather rolls and then completely lifts up to change directions. This allows the rotary blade to cut through all the fibers rather than dragging across the fibers. I could see several applications in which the rotary cutter would come in very handy. If you were a quilter, and needed to cut out several of the same size and shape pieces out of the same fabric, then the Maker could easily do the job for you. One hundred hexagons, forty cresents, or even fifty diamonds. I could see how this could come in very handy. Below, I used it to cut out a heart on a polyester blend knit fabric. Despite being very cool, there are a few disadvantages. You’re limited to a 12″ wide cutting space. For someone that does smaller crafts, or quilting, this might not be all that bad. For someone like me that does apparel sewing, this really limits what I can use the rotary blade for in my sewing. I could see cutting out an appliqué to sew on, especially for the perfectionist that I am. Another disadvantage is that you can’t cut anything on the fold. It has to be lying flat on the cutting mat, in a single layer. Many of the sewing patterns that I use have several pieces that are cut on the fold, so it’s not advantageous for me to use it to cut out my sewing pattern pieces. Another thing that I noticed about the Maker is just the sheer weight of the machine. It’s actually quite heavy. It’s slated to start using a knife blade as another blade later this year. This means that the Maker could cut materials up to 2.4mm thick. Because it can cut such thick materials, it needs to be able to apply more pressure than your regular die cut machine. The Maker is up to ten times more powerful than other cutting machines, and they can typically only cut a thickness up to 0.8mm. The Cricut Maker doesn’t just use the rotary blade to cut, but can also use the regular blades and the deep cut blades. I’ve honestly used the regular blade more than I have the rotary blade. I use it constantly to cut out iron-on vinyl for shirts, or other projects. I’ve also used it to cut vinyl sayings or decals for use around our house, like our “No Soliciting” sign that I put on our door. Using these blades, you can cut a multitude of different vinyls and papers, like tissue paper, printable vinyl, flocked iron-on, etc. I used my Cricut Maker and Cricut EasyPress to make my son his shirt, using this design from Thread & Grain. Did you know that the Maker has the ability to detect color so you can print and then cut? You can also connect your phone or tablet via Bluetooth, so there’s no wires to deal with. There’s also a handy docking slot at the top so your device can rest at the top while you’re working. The convenient storage tray at the bottom of the Maker helps to hold additional blades or the washable fabric marker. Speaking of markers, did you know the Maker will hold a regular marker in the slot? It doesn’t need an adapter to hold a pen or marker for writing. Overall, the Cricut Maker is way ahead of the competition when it comes to the materials that this thing can cut. With the new knife blade that’s set to release, the rotary cutter, regular blade, deep cut blade, and bonded fabric blade, the Maker just has so many possibilities for the at home crafter. You really can’t go wrong with this innovative machine. I’ve always been a weird size when it comes to bras. Anytime I was younger and would go into Victoria’s Secret and get measured, the bra that I bought would fit for a couple of weeks and then just get too big. I’ve always had a small underbust (29-30″) and then a bigger full bust. They would always just measure around my full bust and then my upper bust. Well come to find out, I’ve recently discovered that I have very broad shoulders meaning that my upper bust measurement is very large compared to most “normal” people. This is part of the reason why getting measured at VS never really worked out for me. After much discovery and getting measured and fitted the correct way (for me), I usually wear a 32DDD-G/H in a RTW bra. While in testing for the new Bridgette pattern, I went off of my measurements and used the size chart. I measured into a 36A. You might see my problem here, but since my upper bust measurement is so large (because of my broad shoulders) the chart didn’t really work well for me. I made the 36A, but I needed WAY more cup than an A. I had about 2″ from the bottom of the cup to the bottom of my breast that wasn’t covered. After some help from Judy and Megan, I decided to make a 36D which was very close, but I still needed a little more coverage. I then went back and went up to the 36F which came out perfect! I also realized that I preferred to have my cups lined. I didn’t like having any of my breasts poking out of any of the holes on the lace. I lined all of my cups with cotton lycra to match, and I just like the softer feeling of the lining too. I’m so in love with the fact that I can now make a bralette that actually fits. There’s no way that I would be able to get one in a store. The Bridgette pattern goes from size 30-50″ for the full bust measurement, and cups from A-G. There’s a full back, racer back, and cross back option. The Victoria has cheekies or thong options. I made all of my cheekies 6″ high on the rise, as I just preferred that rise height better. I finished the top of the undies with picot elastic and just top stitched it down. The patterns can be bought in a bundle ($13.00), or individually ($7.50). Both of my lace fabrics came from Surge Fabrics. Cream colored lace is here and the teal and coral is sold out sadly. The look of this cute tunic couldn’t be more perfect! My daughter loves pockets so that she can put her toys in her pockets, not just her hands. She just loves carrying around anything that she can, so pockets are always a win. This Trendy Tunic from Love Notions got an update. Previously it didn’t include some of the smaller or bigger sizes, and it now goes from 2T to 16. She also added a cowl and hood option! I chose to make the new cowl neckline, since it’s finally getting cold enough here. This french terry from Raspberry Creek Fabrics worked out perfectly, and I just love bright and bold colors on her. I used their eggplant solid and the eggplant dots on oatmeal. Although it might look like a complicated pattern, I was happy that it came together quickly. The instructions were clear and easy to follow for adding the pocket. Grab the Trendy Tunic while it’s on sale until January 30, 2018 for $7.00.